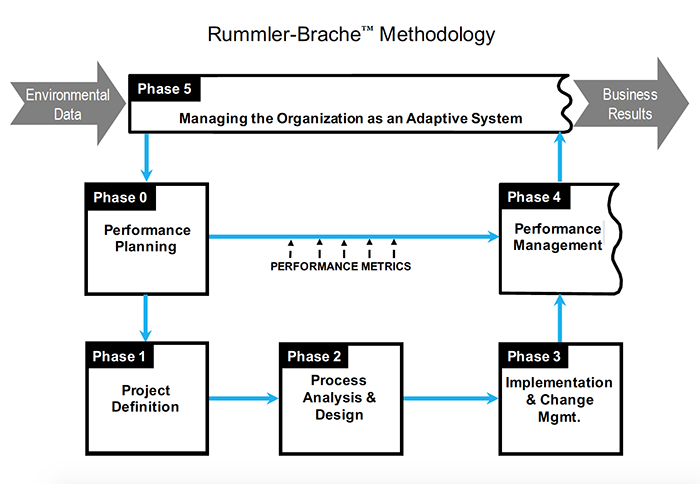 While our consultants frequently tweak techniques, the Rummler-Brache™ core approach has never changed. It is battle-tested. It has the kind of tough durability that comes from surviving trial by fire. Our Process Improvement Certification Workshop helps organizations become highly self-sufficient in applying our world-class methodology. The Rummler-Brache approach is straightforward. Not over-engineered. Everything fits together nicely. Each step naturally follows the next. We have perfected the “process” of process redesign by making it easy to learn and do. 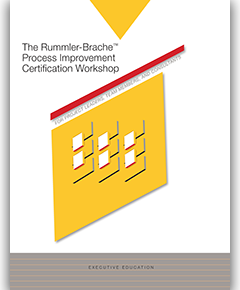 Review the deliverables for phases 1, 2, and 3.
Review the Rummler-Brache design approach. 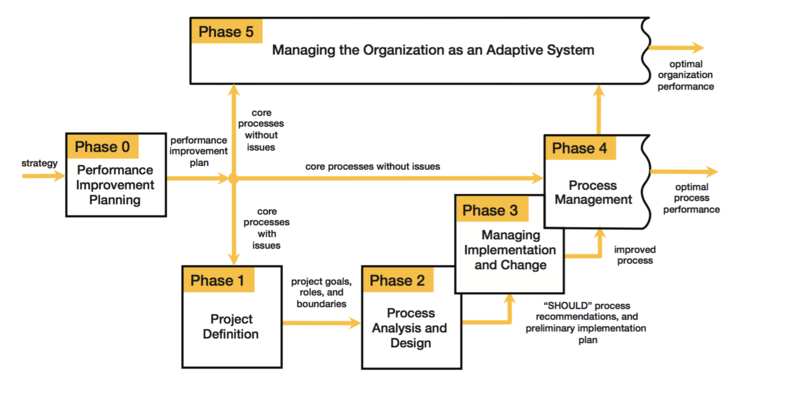 The inputs for Phase 3: Managing Implementation and Change include the “Should” process, recommendations, and an implementation strategy. Review criteria for selection of team members. Identify the resources, feedback, rewards, and training necessary for job performers by answering the Human Performance System questions. The outputs of Phase 4 are optimized processes.